Smartphones have become inseparable part of our life. In this hyperactive lifestyle , our daily life is impossible without smartphones. Our basic activities depends on mobile phones . Waking up with a morning alarm, using Whatsapp, listening to music, reading the news, watching YouTube videos, checking emails, updating project statuses, and so on. Every Minute a new user accessing a new app , anyway the number is not going to drop in 2017 and ever going to increase till reaching the saturation point . 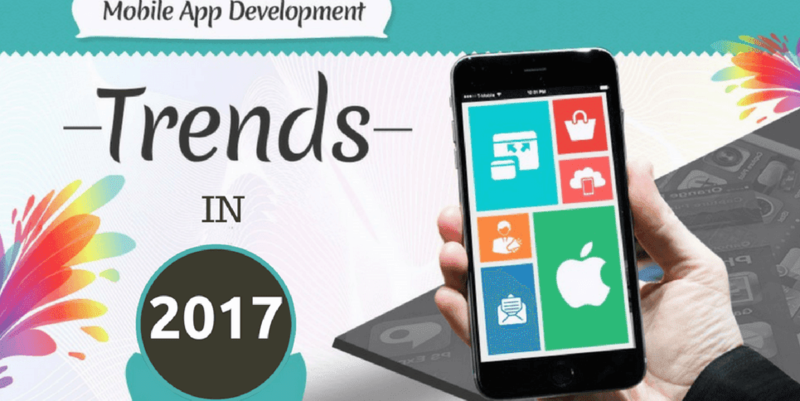 In this blog post, we are going to discuss the current mobile app development trends that are going to stay in 2017 and in future too. Accelerated Mobile App has been introduced an year ago . It gives better indexing to the search results . This has accelerated the SEO and Web Apps perspective. Google AMP enabled web apps loads faster giving a better result to the faster loading time significantly reducing the bouncer rate. It will also benefit publishers with increased ad visibility and more visitors. Hence, this advanced technology will certainly be on the list of mobile app development trends. In 2016 , AR & VR ruled to be the Changing trend for the entertainment and Gaming Industry . Every Gaming web apps should be supported with AR & VR . Compared to VR , AR will show a intensive growth in the upcoming years. The use of advanced analytics, cognitive interfaces into complex systems, and machine learning techs, AI will provide business users access to powerful insights never before available to them. Surely AI is going to hit in the current trend as well as in the upcoming years. Mobile app has everything in it . It is accessed via internet . Web apps is mainly used by businesses , so threat to an app can originate from different modes . It is for the developers to develop an app with optimal security enabled . Beware of the hackers , and yield a maximum security to comfort the users to access the app in a secured environment. Nowadays people pay using mobile wallets such as Google Wallet and Apple pay . Coupled mobile wallet and wearable devices like (Apple Watch Series 1, Google Daydream View, Pebble 2, Xiaomi Mi Band 2, Fitbit Flex 2, and more.) will explore a different shape in 2017. Beyond predictive analytics and data collection, wearables will also play a major role in the future of m-commerce and customer loyalty. Cloud based mobile App is really going to help the industry and play vital role in the Changing trend . The IoT devices are controlled by the smartphones . Wearable devices are getting more attention and expected to reach higher and surely the changing trend in the current and upcoming year. Location based services to trace the nearby location information . This is going to hit in the future . The usage of Wi-Fi is not limited to the hotels , restaurants , health care , it will also enhance people with relevant information . Beacons transmit location data , smartphone receives beacon signal , data is synchronised and evaluated on the basis of marketing platform. Related offer messages are transmitted individually to him or her.